The 'Projet Carré' was designed by Henri d’Origny in 2007, the one featured below is a Plissé version from the SS2008 collection. You can buy Plissés ready made, or you can bring your regular 90 Carré to H, and get it pleated for a fee of approx. 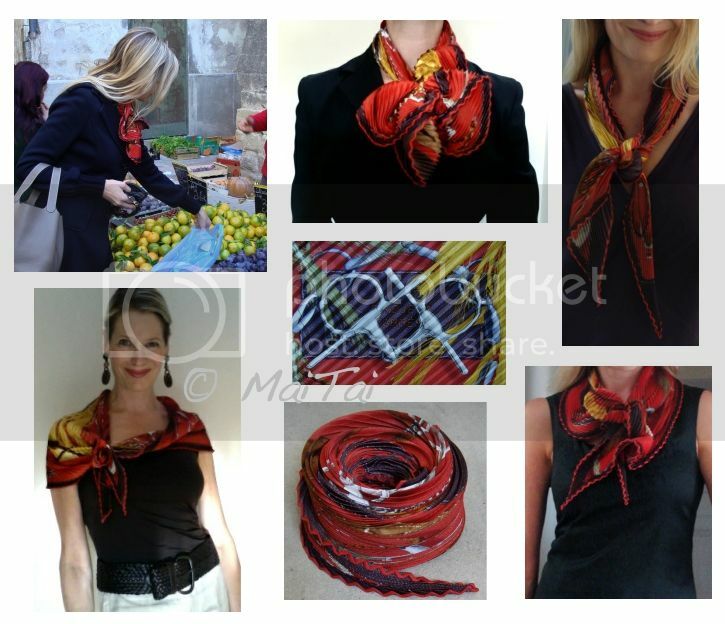 40 EUR, which is also a great way to give a new lease of life to scarves that have snags, pulls or runs. H used to apply three different Plissé techniques, box pleat, double pleat and single pleat. Since a few years, the single pleat as shown here is the only version available. But please don't attempt to hand wash a Plissé ever, as the pleats will loosen/dissolve at the contact with water. They are dry clean only. oops, hit enter too fast. ;-) Wanted to add, that I the horse themes are always my favourites. 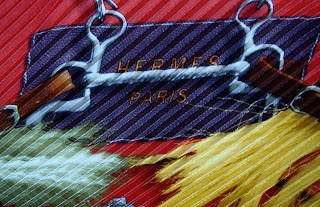 That's sort of what I "grew up" with and I just love how Hermès and horses seem to go hand in hand. Love, love, love the look, dear Mai Tai! 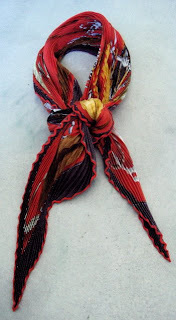 And despite being a third generation Hermès afficionado, I learn a lot from your wonderful blog, i.e the flower knot. Gorgeous! I love plisses, need to pull mine out again. Add me to the "horse-themed" fan club. Always my favorites! MaiTai I love your plisse in this design it works brilliantly doesn't it? 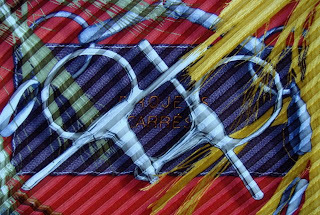 Thanks for the lvoely pics of Projet Carre! your travel pics! Any snowboarding there?